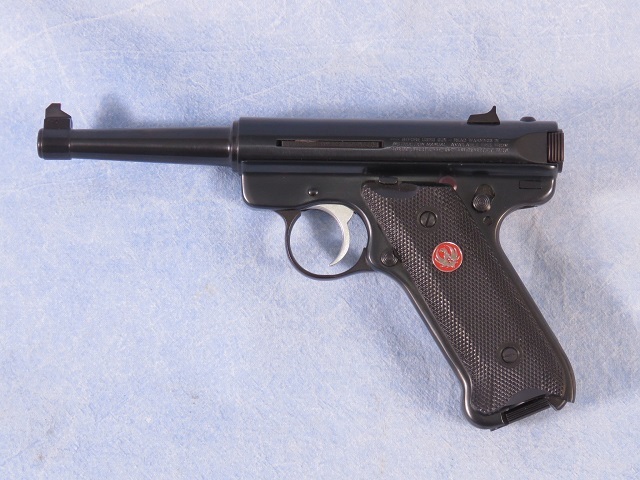 Ruger MKIII semi-auto pistol chambered in .22 LR. This features a 4 5/8" tapered barrel, fixed sights, blued finish, and a 10 round magazine. This has been test fired and cleaned.